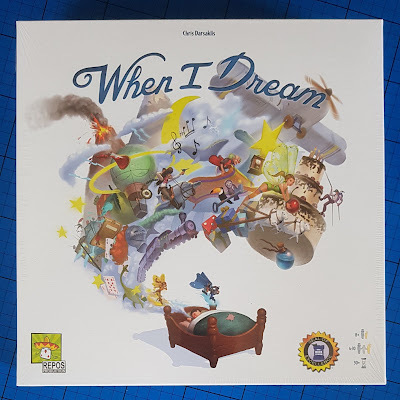 When I Dream is an interesting and unique take on an old tried and tested favourite, and it works very well. 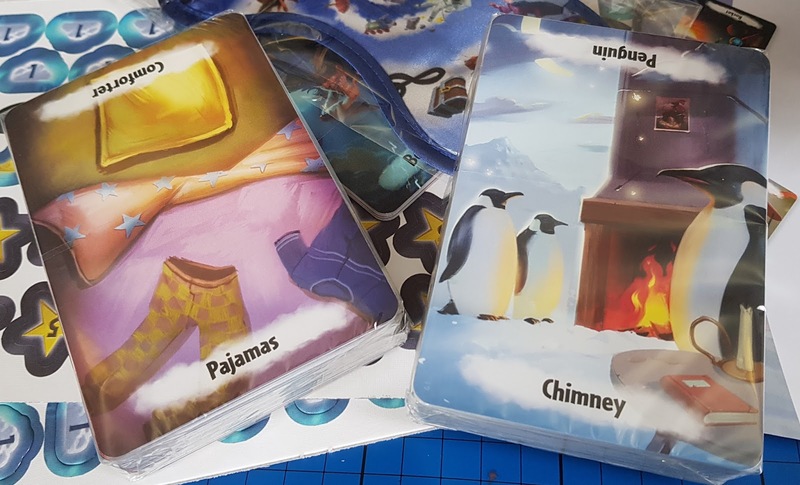 A family game for 4 to 10 players aged around 8+, players guess the words that are being described, but then must also weave them into a dream and try to remember as many as possible to score more points. 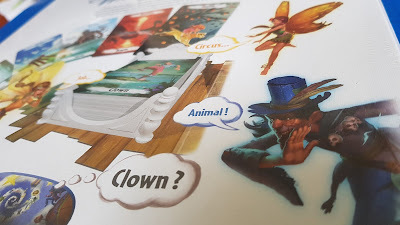 When I Dream is a beautifully illustrated game with characters and pictures which remind me of the original Grimm fairy stories. Played mainly with a large deck of cards, it's almost a shame that you don't see them for longer! As well as the 110 double-ended and double-sided Dream Cards (4 items per card), there are 11 Dream Spirit Cards, 104 point tokens, bed and headboard, game board, sleep mask, sand timer and rulebook. The packaging is brilliant. Compact and with a plastic inlay tray to store everything neatly when you put it away. 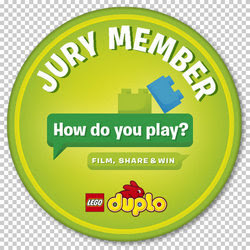 The rules sound complicated, but play is intuitive and very easy to understand once you start. It's easier to see it as each round being in two parts - night time and day time. 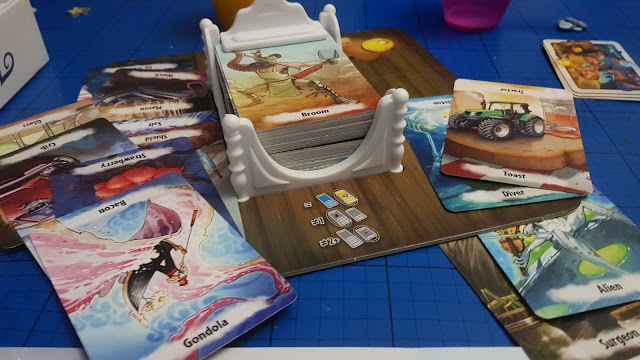 Players take turns to be the Dreamer for an entire round. The Dreamer wears the sleep mask and the 2 minute timer is started. The Dream Cards are on the bed in the middle of the table and the other players in turn give single word clues to what is shown on the top card in the pack. Whenever they choose, the Dreamer has one guess at the word. If they are right the card goes to the yellow side of the board, if they are wrong, the blue. After the guess you move to the next card regardless and try not to let the dreamer know if they were right or wrong. 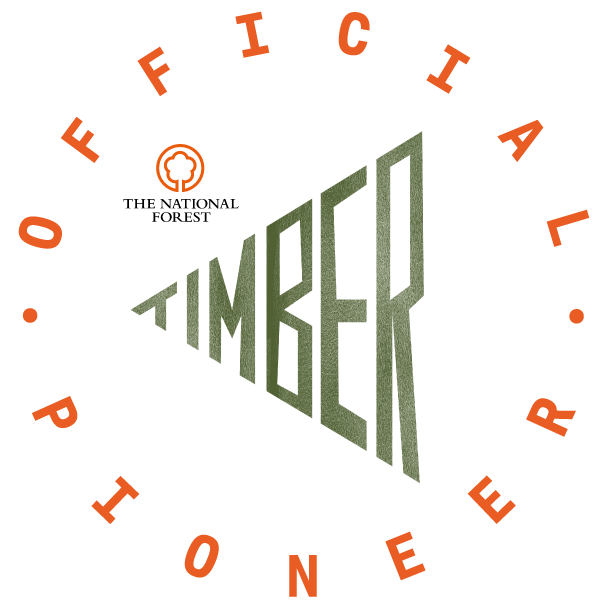 The Dreamer scores points for each correctly guessed. The round isn't over though, before the dreamer removes their sleep mask, it's the Day Time segment. As if it were morning, the Dreamer now has to share their 'dream' with the other players. They have to mention as many of the words as they can and get an extra 2 points if they remember all of the 'correct' dreams from the yellow side of the board. It's actually far easier if you remember everything as a chain - 'the mouse running through a wood carrying a handbag' - and it is very much like an actual dream with the crazy way one thing flows into something completely unrelated. It isn't only the Dreamer who scores. 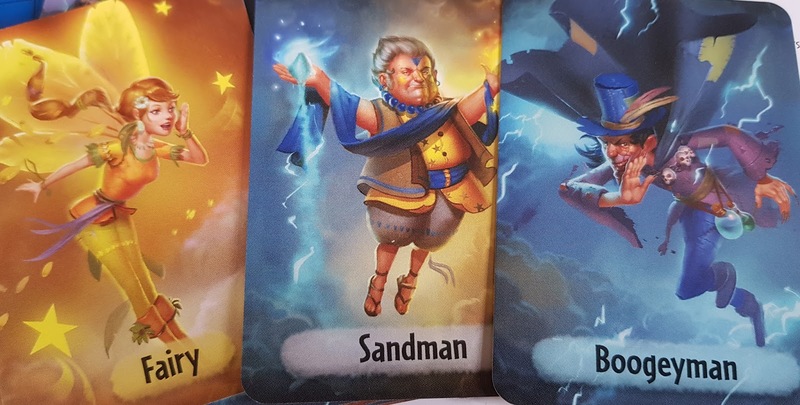 The other players are all randomly assigned a Dream Spirit Card at the beginning - Sandman, Fairy or Boogeyman. They gain points depending on how many correct and incorrect answers were given. You can play competitively by being incredibly quick and helpful as The Fairy, a little less so when you are The Sandman. That's not my style, but my partner is a bit more ruthless! We all really enjoyed playing. When I Dream is fairly quick-fire, but not frantic. It's harder than it sounds, hilarious and a really innocent and inoffensive game. 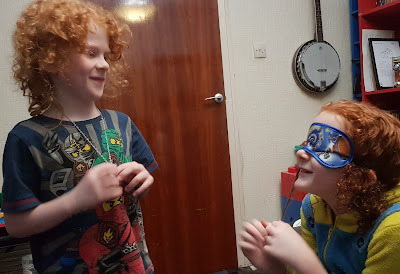 We all laughed and grinned and first time we played it over-ran into bedtime by quite a long way, but we carried on because it was such good fun. Usually a game with 5 players takes us around an hour - but I think you could make this much quicker and suggested time is around 30 minutes. 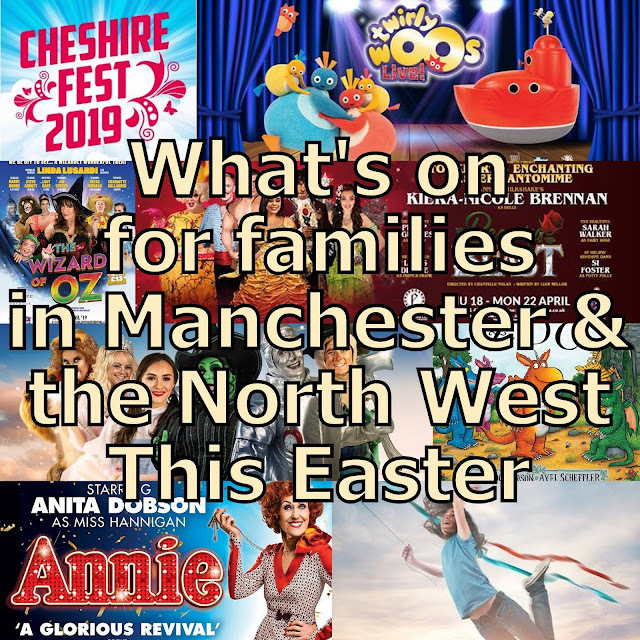 We played with 3 of our children aged 8, 9 and 20, and all age groups enjoyed When I Dream equally. Scoring was really quite tight with everyone scoring between 27-40 points. The element of luck with the Mystery cards really evens it out. The dreams at the end are hilarious, it's worth playing for that alone - especially if you are playing with a natural storyteller. 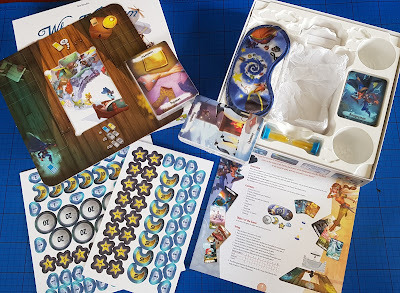 When I Dream is a really beautifully presented game with gorgeous illustrations and it suits anyone aged 8+. It also makes an excellent gift and it’ll expand anyone’s vocabulary though – however old you are! 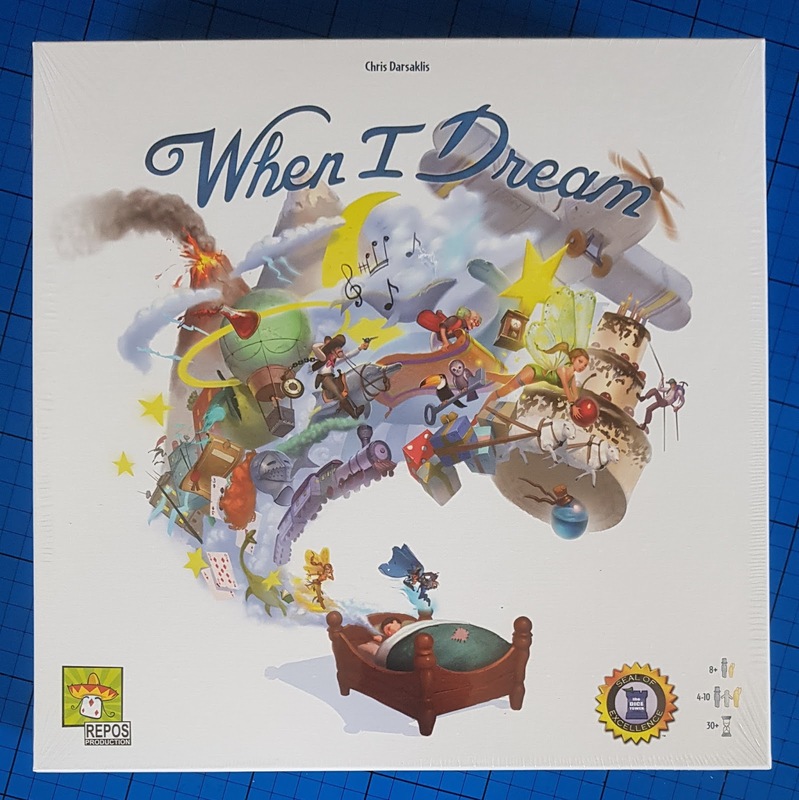 When I dream is distributed by Asmodee (formerly Esdevium), suitable for 4-10 players aged 8+ and available to buy now from independent games retailers instore and online, including Amazon £26.99rrp, currently £21.50 (affiliate link*). 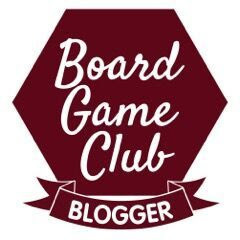 We were sent our copy of When I Dream for review for the Blogger Boardgame Club. 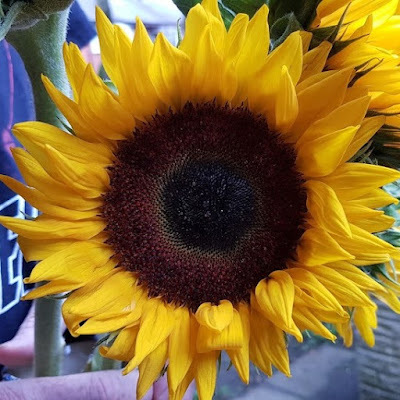 *Amazon links are affiliate, which means if you order through my link I make a few pence for referring you, but I will always give you the best price I find and you pay no extra.